Dr. René A. Carlson, 64, died peacefully at home with friends and family by her side on Tuesday, March 26, 2019. René was born on Nov. 20, 1954 in St. Paul, MN, to JoAn and Weldon “Red” Smith, and grew up in Minnesota and Indiana. She graduated from Lakeville High School in 1972 as class valedictorian. She attended the University of Minnesota College of Veterinary Medicine receiving her Doctor of Veterinary Medicine degree in 1978. There she found the love of her life, Mark Carlson. René started her professional career serving a clinical internship at Rowley Memorial Hospital in Springfield MA. She practiced in Elmwood and Madison WI before moving to Chetek in 1990. In 1996, Rene’ built the Animal Hospital of Chetek, where she and her staff treated all creatures with never-ending professionalism and empathy. Rene’ was elected President of the Wisconsin Veterinary Medical Association in 1994; the first woman to hold that office. In 2001 she was voted Wisconsin's “Veterinarian of the Year” by her colleagues. René served as delegate from Wisconsin in the AVMA House of Delegates from 1995 through 2003. 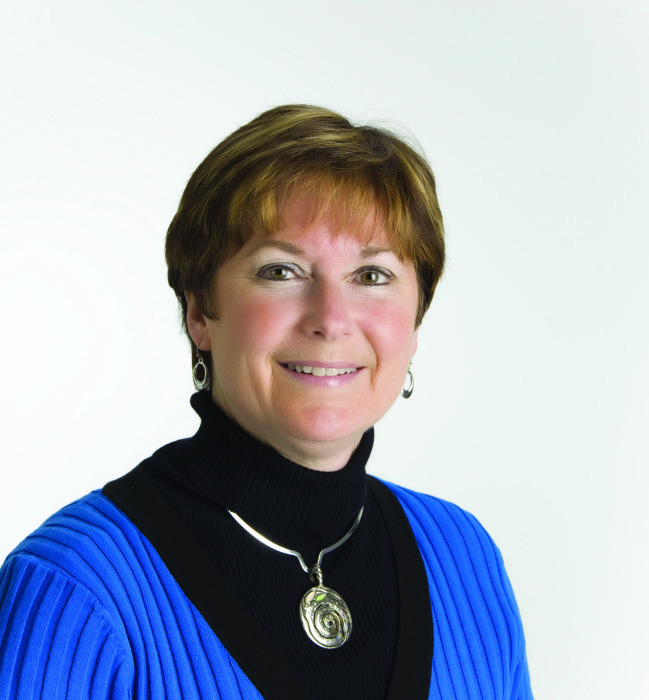 She was elected to a two year term as AVMA vice president in 2004. In 2010, Rene’ was elected President-elect of the American Veterinary Medical Association (AVMA) and became President in 2011. In 2013 she was appointed Director of International Affairs for the AVMA. In 2014 she was elected President of the World Veterinary Association (WVA), the first woman to hold that office. She traveled to over thirty countries to promote veterinary causes during her term which ended in 2017. She also served the AVMA on the Council of Education and on the AVM Foundation. This year during International Woman's Day, she was named to the list of groundbreaking women in veterinary medicine. Although groundbreaking in many ways, she never considered herself to be anything other than a veterinarian passionate about her profession and the people in it, and she just happened to be a woman. She loved mentoring young veterinarians in leadership skills. In 2018 the AVMA awarded her the Global Veterinary Service Award for promoting veterinary medicine worldwide. She was also honored with a lifetime honorary membership in the WVA. Always humble, Rene’ said, “It's amazing. I'm a person from a town of 2,000 people in Wisconsin, and I'm representing fellow veterinarians around the world." When not working, Rene’s greatest joy was sailing with her husband Mark on their boat on Lake Superior. At home in Chetek, she loved watching birds, enjoying nature, and walking her dogs Ally and Mona. She was an active member of Chetek Lutheran Church, singing in the choir of many years, reading lessons and giving an occasional temple talk. Several years ago, in 2006, she went on a mission trip to Malawi. Rene’ is survived by her husband of 41 years, Dr. Mark Carlson, mother JoAn (Eddie) Kramer, sister BJ (John) Kohlstedt, aunt Patsy Lambert, uncle Merritt (Nancy Hartung) Nequette, sister-in-law Mary Carlson, brother-in-law Randy (Kay) Carlson and her devoted K9 friends Ally and Mona. She is preceded in death by her father. The celebration of her life will be held at Chetek Lutheran Church on Saturday, April 6, at 11:00 AM, with visitation two hours prior to the service, and a luncheon to follow. Final arrangements were made by the Burnham-Ours-Kolstad Family Funeral Home. In lieu of flowers, memorials can be directed to the Chetek Lutheran Church, the American Veterinary Medical Foundation (AVMF), or the Rene’ A. Carlson Memorial Scholarship Fund at the University of Minnesota College of Veterinary Medicine https://z.umn.edu/renecarlson. Rene’ touched and changed countless lives at home and around the world. She left it a better place and will be dearly missed. Live streaming will be available during the service at cheteklutheran.org.